Don’t drive angry, as Bill Murray said in Groundhog Day. 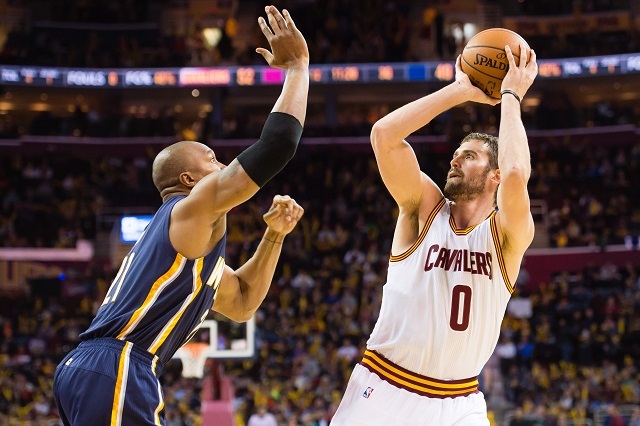 It seems like only this time last year we wrote about the best landing spots for Kevin Love…. because it was about this time last year that we were writing about the best landing spots for the second-best power forward in Timberwolves history named Kevin. Love, of course, wound up getting traded to Cleveland, spending the season as a super stretch 4, and was injured in the first round of the playoffs. In 2014, we said that the Cavaliers would be the best destination for him. Earlier this year, we suggested that he stay in Ohio (ew). That said, Love is a free agent, and while he has said that he’d like to resign with the Cavs there’s no reason to assume that’s his only option. Last week, Love opted out of the final year of his four-year, $60.8 million contract, which he originally signed with the Minnesota Timberwolves. Although the move was largely expected, the contract termination opened up yet another round of speculation concerning the power forward’s future. Several NBA analysts anticipate that the Cavaliers will offer a five-year, $100 million “take it or leave it” deal to Love. From there, Kevin Love will be left to make the call — as to whether he wants to again subjugate his own game as the third wheel on a championship contender or return to a lesser team as the top dog. A dark horse candidate, to be sure, but the Blazers could be players in the Kevin Love Sweepstakes, especially if a few major dominoes fall this offseason. With LaMarcus Aldridge is already all but gone, K-Love would be the perfect consolation prize, if not a slight upgrade, at power forward for the Trail Blazers. We’re not in the Jail Blazer era anymore, but owner Paul Allen has not been afraid to write big checks in the name of keeping a competitive team on the floor. 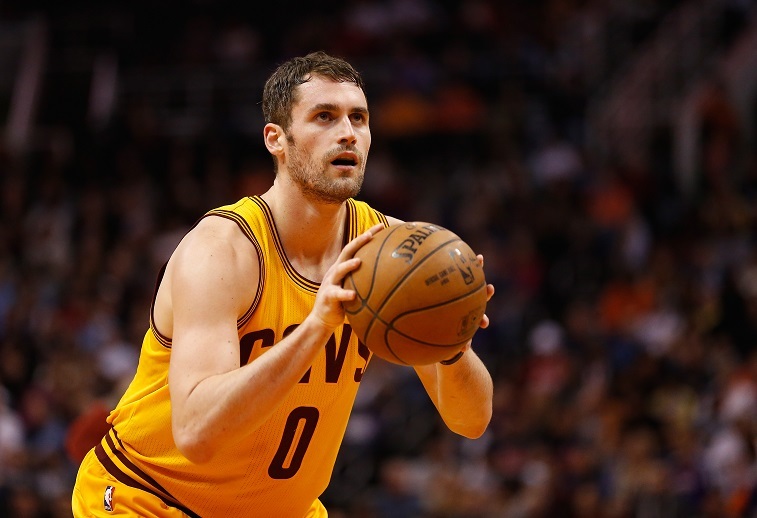 Kevin Love did play his high school ball at Lake Oswego, just outside of Portland, racking up 2,628 points and made three consecutive trips to the State Finals, winning one championship. Love, however, spurned Oregon for UCLA, where he starred as a one and done player. In his single NCAA season, Kevin Love played the game of his life in Eugene when he poured in 26 points and 18 rebounds in front of a raucous chorus of boos and abuse. Ironically, Kevin Love would be taking a page out of the LeBron James playbook by coming back home to the Pacific Northwest to make amends. The new look Blazers would feature Love and Damian Lillard, as a devastating inside-outside combination. From there, Portland would be able to make moves to directly challenge Golden State as one of the top teams to beat in The West if it were to also resign emotional leader Wesley Matthews to a deal. In case you missed it, this April Love saw love tear his labrum while grappling beneath the basket with Kelly Olynyk for a loose ball in Boston. While the Cavaliers still went on to sweep the Celtics and made quick work out of the rest of the Eastern Conference in taking out the Bulls and Hawks by a combined eight games to two, Love spent the majority of the playoffs wearing a suit and watching the action from the bench. His absence was mostly felt in the NBA Finals, especially after an already hobbled Kyrie Irving went down with another injury in Game One. From there, King James was left to put up a monster 36 point 13 rebound, nine assist performance, leading a rag tag group that forced the likes of Matthew Dellavedova and James Jones to play big-time minutes. The high-octane Golden State Warriors ultimately ran away with this series in six games and the world finally saw a gassed LeBron James. 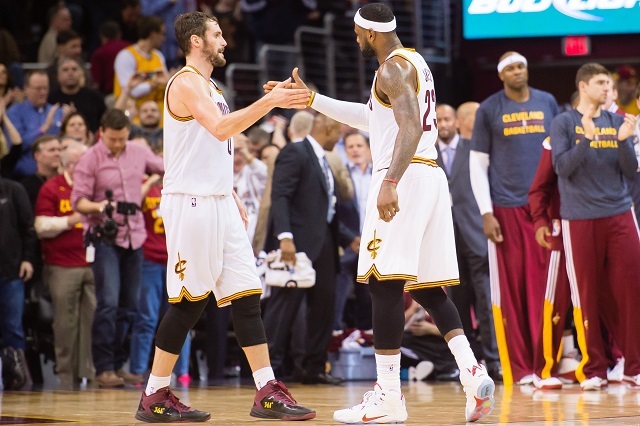 Love’s role as a Cavalier would remain an enigma if last season is any indication. 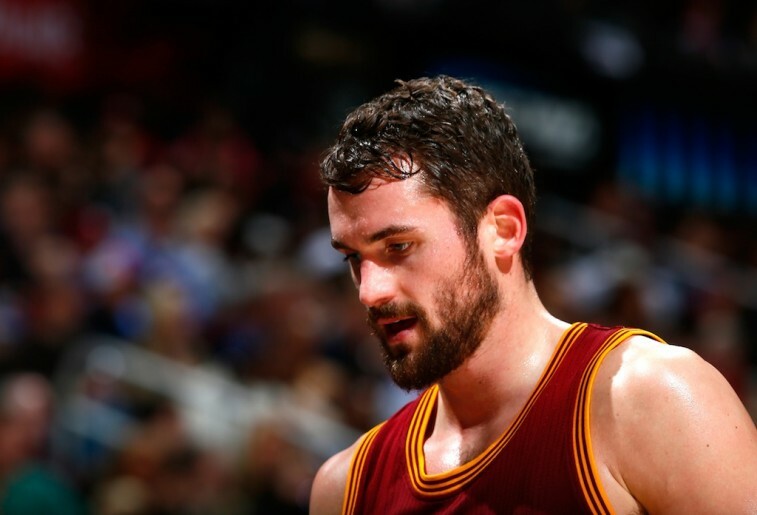 For 2013-2014, K-Love averaged for 26 points, 13 rebounds, and four assists as The Man in Minnesota. As the third banana in Cleveland, however, Love was often relegated to the corner, as a spot-up shooter, with Kyrie Irving and LeBron James taking turns pounding the basketball out of isolation. Love arguably put in his worst season as a pro last year, fading to just 16 points off a mere 13 shot attempts each game. After grinding through a humiliating 21-61 record in 2015, the Los Angeles Lakers are suddenly one of the more intriguing destinations in the NBA. Kobe Bryant and his farewell tour, of course, will largely define the Lakers, but he is set to play out the final year of his mega two-year, $48.5 million contract extension. On draft night, many fans and analysts raised their eyebrows when the Lakers went with point guard D’Angelo Russell as the second overall pick instead of Jahlil Okafor. Their versatile young core now features Russell, alongside All-Rookie Jordan Clarkson, and Julius Randle, who will be coming back this year after breaking his leg during the opening moments of his rookie season. Los Angeles is already stacked with wings and playmakers and is obviously combing the free agent market for an established big man, who can score in the post and rebound the basketball. Sound familiar? Bringing in Kevin Love at power forward would swing the balance of power back to the Lakers in Southern California, and the Western Conference, at large. Of course, Love has L.A. ties and the link has long been established, but we can’t say it isn’t a good fit. All data courtesy of Basketball Reference.